Farah (Pashto/Persian: ????) is one of the 34 provinces of Afghanistan, located in the western part of the country next to Iran. It is a spacious and sparsely populated province, divided into eleven districts and contains hundreds of villages. It has a population of about 925,016, which is multi-ethnic and mostly a rural tribal society. The Farah Airport is located near the city of Farah, which serves as the capital of the province. Geographically the province is approximately 18,000 square miles (47,000 km2), making it (comparatively) more than twice the size of Maryland, or half the size of South Korea. The province is bounded on the north by Herat, on the northeast by Ghor, the southeast by Helmand, the south by Nimroz, and on the west by Iran. It is the fourth largest province in Afghanistan. The province is home to a great many ruined castles including the "Castle of the Infidel" just south of Farah City. 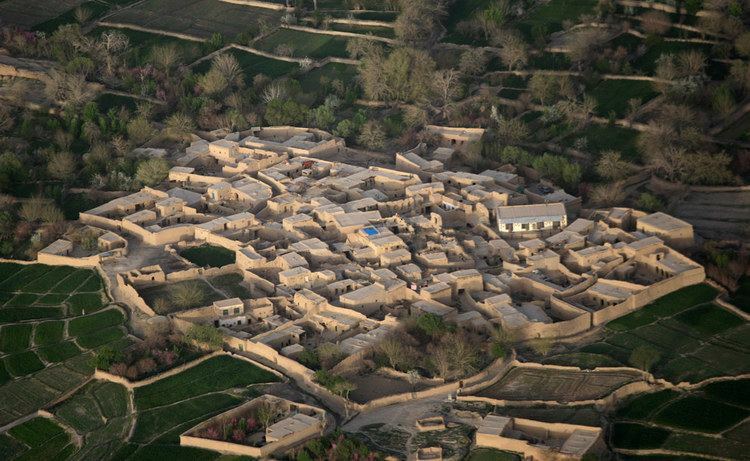 Shahr-e Kohn-e ("Old City") or Fereydun Shahr ("City of Fereydoon") is located in Farah city. This ancient city is more than 3000 years old. It was one of the ancient places of the Persian kings, as Farah belonged historically to the Sistan empire. The name "Fereydun" here refers to a hero of the Persian epic Shahnameh. The territory was known around 500 BC as Drangiana, with Arachosia being to the east and Ariana to the north. It was part of the Median Empire followed by the Achaemenids. In 330 BC Alexander the Great took possession of the land and made it part of his empire. Upon Alexanders untimely death in 323 BC the region, along with the rest of his vast empire, was fought over by his generals all vying to be his successor. Eventually several of these were successful in carving out parts of Alexanders empire for themselves thereby becoming his official successors or Diadochi. One of these generals, Seleucus, made this region part of his domain giving it his name as the Seleucid Empire. They were replaced by other rulers and the area eventually fell to the Sassanids, then to the Arab Muslims. The Saffarids rose to power in 867 AD in Zaranj and made Farah part of their empire. By the 10th century the province became part of the Ghaznavid Empire, whose capital was located in Ghazni. They were replaced by the Ghurids and then after a century later the area saw the Mongol invasion. The province was taken by Timur and eventually fell to the Safavid dynasty. It had been lost by the Safavids to the Uzbeks of Transoxiana, but was regained following a Safavid counter-offensive around 1600 CE, along with Herat and Sabzavar. In 1709, the Afghans gained independence from the Safavids and Farah became part of the Hotaki Empire. By 1747, it became part of Ahmad Shah Durranis last Afghan empire. During the 19th century, the British army passed through the province to support Afghan forces in Herat Province against the invading Persians. Following the Marxist revolution in 1978, Farah was one of the cities in which civilian massacres were carried out by the now-dominant Khalqi communists against their political, ethnic, and religious opponents. At the start of the 1980s, the majority of Farah was allied with the Harakat-i-Inqilab-i-Islami movement, but after 1981 the province split along linguistic lines, with Pashtun-speaking opponents of the communist government remaining with Harakat, and Dari speakers moving to the Jamiat-e Islami. Following the 1992 collapse of the communist-backed Democratic Republic of Afghanistan, Farah Province, like Herat, Nimroz, and Badghis provinces, came under the influence of Herat-based powerbroker Ismail Khan. 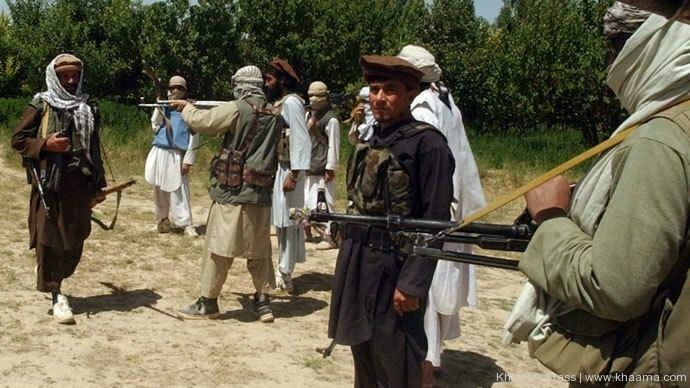 As the Taliban came to power, they sparred with Ismail Khan over Farah Province, as his occupation of the province and the strategic Shindand Airfield in its south stymied their efforts to seize Herat. The Taliban employed human wave tactics in an attempt to overtake the airfield. A 1995 Oxfam report lists Farah as "severely mined", and indicated that Farah was particularly problematic due to the wide variety of mine devices employed there, as well as usage of mines to deny access to irrigation systems. By late 1995, the stalemate broke as the Taliban counterattacked after Ismail Khans failed drive to Kandahar, and all of Farah fell as the Taliban swept to take Herat on 5 September 1995. Farahs economy is overwhelmingly agricultural. The province has minerals such as gypsum, lime and construction stones, gold’s coal and uranium. 1300 worker were employed by manufacturing firms in the province. 74% of rural households reported either agriculture or livestock to be their main source of income and 24% reported that trade and service (including non-farm labor) to the their main source of income.